Rahawa Haile is now a social media icon after she completed her thru-hike of the Appalachian Trail in 2016. 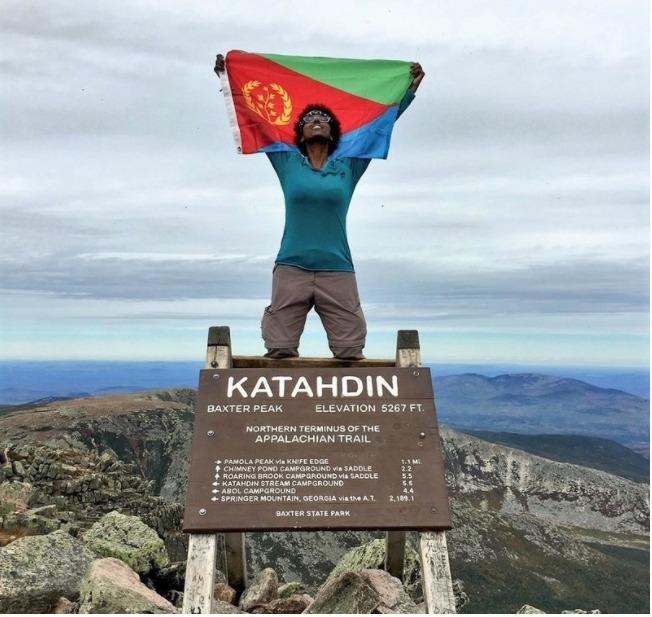 Haile began her trek in March in Georgia and completed it seven months later in October and stood proudly atop Mt. Katahdin. Haile’s experiences, although recent, has been an inspiration to minority hikers across the country. Since completing her thru hike, Haile has continued to be a very involved and contributing member to the hiking community. She has done a number of interviews regarding her experiences and even takes the time to speak at various schools in her local area. Haile loves spending her down time day hiking different trails and continues to document her experiences on her personal Twitter page.